Do you want to ask me or another qualified English Specialist a question? Asking questions has never been easier. Just explore the question index below to find the relevant section. Once in a particular section you will probably see that someone has already asked the same question. Enjoy the answers and information you about to find. If someone hasn't asked your question already, simply submit a question in one of the OPEN sections and we will respond as quickly as possible. -Charles Becker is answering your questions about pronunciation. Discover everything you need to know about your pronunciation and accent by simply asking for help. 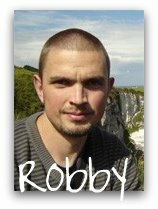 -Robby Kukurs answers your common questions relating to spoken English and oral fluency. Being an experience English learner and Language specialist he offers a unique perspective on fluency. -For questions related to grammar structures issues and general grammar tips. -Want to go further than looking a word up in the dictionary? Use this section to find out what specific words mean, how they are used in context and when to use them. -Submit your question here to learn more about specific books and resources to help you learn English and gain a first hand perspective on books you are interested in using. -Have a question that doesn't fit into the above categories? Ask your question here. you would submit your question to the "English Fluency" section. submit your question to the "English Pronunciation"section. Did you ask me a question? Why not find a free book to read?